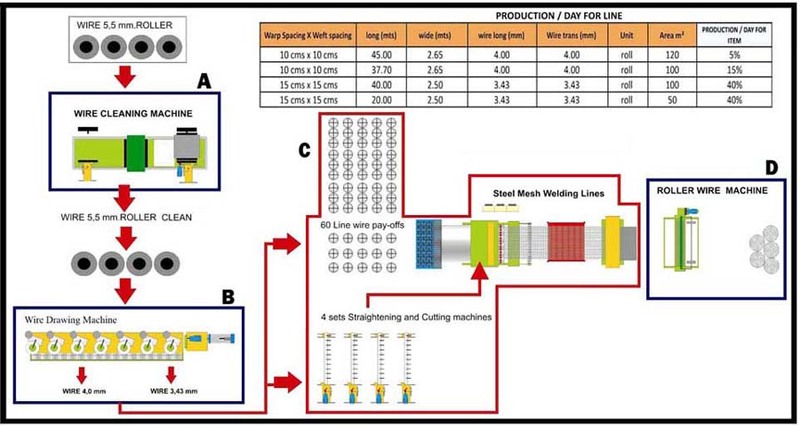 The Industrial mesh welding machine adopts synchronous control technique, both welding time and cent-control welding is composed of PLC program system with pressing firmly once only and welding repeatedly. The input front-panel has two forms: touch screen and keyboard, it makes this machine more intelligent and reasonable. 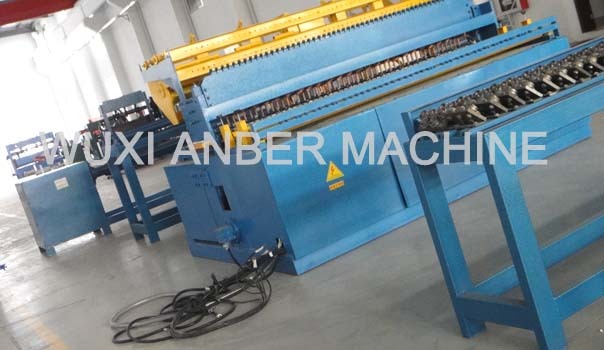 The weft wire supply is automatic. The greatest advantage is that you can adjust the distance of wefts at random on the piece of mesh sheet. 1. Main unit: Welded with thick steel sheet and section steel, strong and concise. 2. Welding electronic control system: PLC digital system, one time pressing, separate welding. Precise control and stable function. 3. 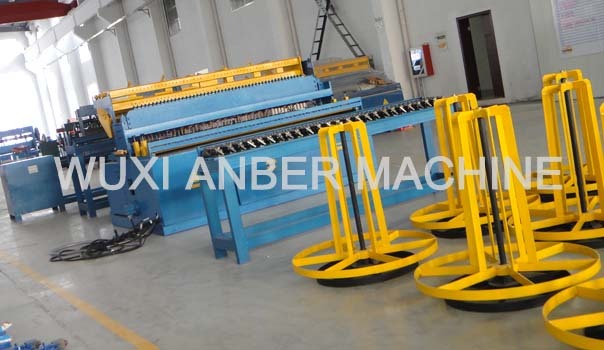 Wire laying devices: Auto weft wire feeding device. Easy to handle, high welding speed. 4. Wire mesh opening setting: PLC digital control. 5. Weft wire arranging: Auto arranging. 6. Inner transformer: High efficient welding transformer. With 8 Grade adjustment. Welding machine applied: Wire mesh fence, fencing mesh and welded mesh panel.